​Reading and Wales striker Natasha Harding has announced she will not be retiring from international duty after being one of a number senior players contemplating their withdrawal from selection. Wales were left heartbroken after their defeat in their final qualifying game to England in August last year which left them with no chance to qualify for the 2019 World Cup. Despite serious consideration otherwise given the result, both Harding and teammate Jess Fishlock have decided to carry on playing for Jayne Ludlow's side. Harding told ​BBC Sport: "There's about five of us that will be over 30 in the next couple of months. "We had some drunken conversations and some frank, honest conversations and said this could potentially be the last hurrah. "I still believe we're very key players and hopefully bring through the next wave of fantastic talent that we have." 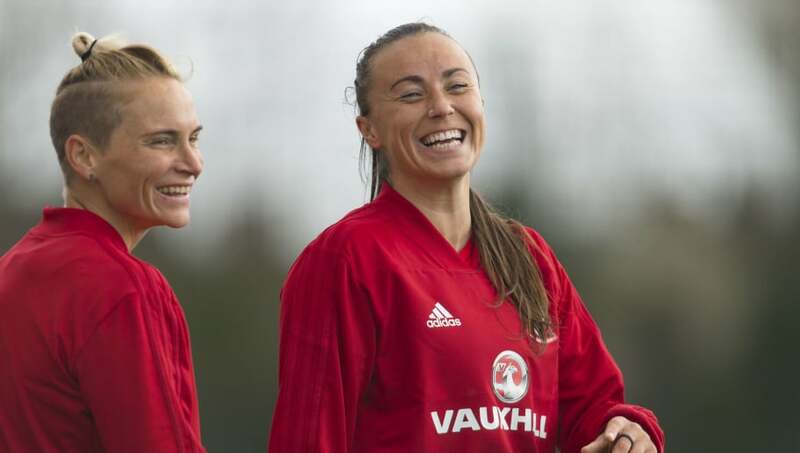 Harding said missing out on a first World Cup was a big blow for Wales, stating: "There was a period, for a couple of months after that, I did want to retire internationally because I just didn't want to go through that feeling of almost making it again. "To come so close and to work so hard for a number of years and to then not making it and falling that short it was almost like we went through a grieving process. "For us it was something that took a while to get over it." Harding has been selected in the squad to face Italy in Cesena on 22 January in a friendly. Italy, unlike Wales, qualified for the World Cup but Harding says it will be good preparation for Wales as they get ready for the 2021 European Championship qualifications which begin later this year. She added: "For us to be better we want to play against better teams. "We had an experience of playing Italy in the Cyprus Cup last year. We might not have been at our best, there was some dodgy defending on our part. "We conceded some poor free-kicks and a team like Italy will capitalise. It's a massive test and one that we welcome and we're all looking forward to playing."